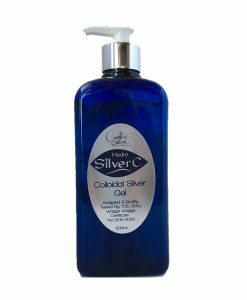 Here at Cynthia’s Naturals we use colloidal silver in our creams rather than water. Most creams of today are made up of 70 to 80 percent water. 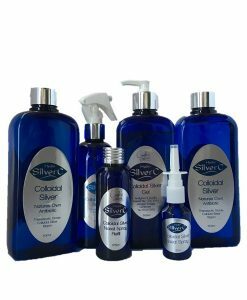 By using colloidal silver we have the healing benefits and also a natural preservative. Most preservatives are chemical based and have all kinds of implications to us. We are all getting use to the beautiful feel of creams of today, they glide on the skin, sink in well and leave no greasy after feel. Most of these creams are so laden with chemicals to help give that effect that when we use a cream that is natural and with no chemicals the cream tends to feel heavier and more of a greasy feeling especially when there is less water. So the more water in a cream the lighter it is, the least amount of water the heavier the cream. When I first started making creams I was amazed to find out that there was only 10% of anything that was good in the product the rest was water, thickeners, emulsifiers, and really stuff that just made the cream feel nice on your skin. When you read the ingredients of your skin care you will start having an awareness of what’s in them, do some research on those ingredient’s it’s an eye opener. I am always up for a challenge so I started formulating the creams with more oils and less water. I have finally got it down to about 60% water or in our case Colloidal Silver the rest is beautiful carrier oils and essential oils. There is about 10% of vegetable base emulsifiers and thickeners. Our Colloidal Silver Cream has Baobab and Moringa oils both organic and fair trade from South Africa, these oils have won awards in Europe for the many benefits to the skin including healing and wrinkles. In fact that’s why the African women have such beautiful skin they either use Moringa, Marula, Baobab and Tallow on their skin. A lot of people don’t like Tallow and yet they really don’t know about the huge benefits Tallow has for the skin. In fact Tallow is Latin for sebum which is close to our skin. But don’t worry it’s not in the Colloidal silver cream I use Cocoa Butter instead. But I do have other products with tallow you can read more about Tallow here. It’s not just the colloidal silver cream that has colloidal silver in it in replace of water. All our Creams and Skin Care, Aromatherapy Sprays, Scrubs, Hand Sanitiser’s and any products that normally include water its replaced with colloidal silver at over 30ppm to allow for other ingredients which normally brings the parts per million down. Basically if any product that is normally produced with water, we replace with Colloidal Silver in all of our products.